Divani Meteora Hotel | Welcome! Enjoy a truly magical stay in this exclusive hotel. 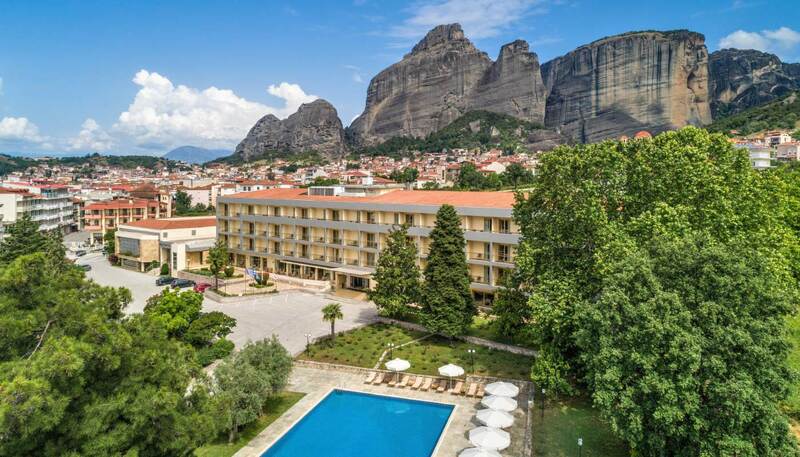 As one of the Divani Collection luxury hotels in Greece, Divani Meteora Hotel offers guests the opportunity to enjoy traditional Greek hospitality in a contemporary setting. 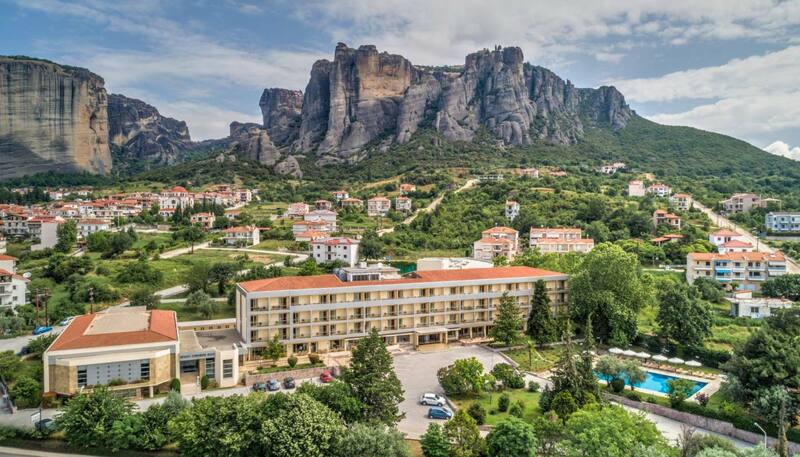 The fully renovated hotel in Meteora is surrounded by immense natural beauty, the religious rocks of Meteora, encouraging outdoor enthusiasts to come and escape. The hotel offers a stunning locale from which, one can experience one of the natural wonders of the world, practically in front of their room window. Our beautiful hotel is a 4-hour drive from Athens on a good road. 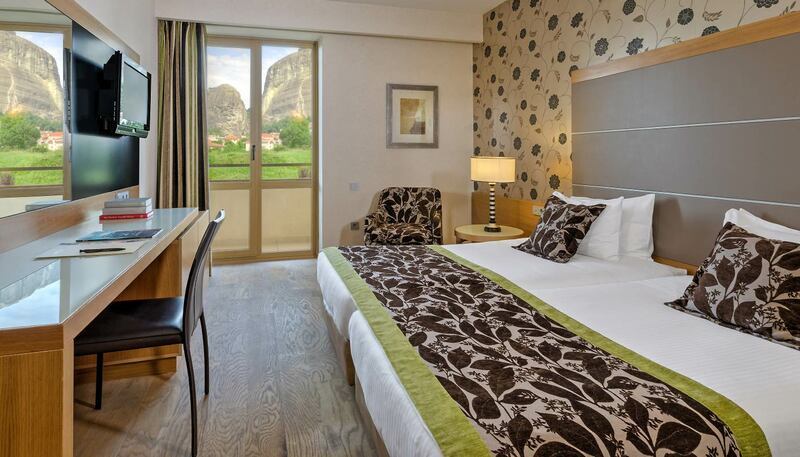 The beautiful superior rooms of Divani Meteora offer a blend of tranquility and modernity. The welcoming decor, the warm shades, and the luxury wooden floor will help make your stay even more unique. 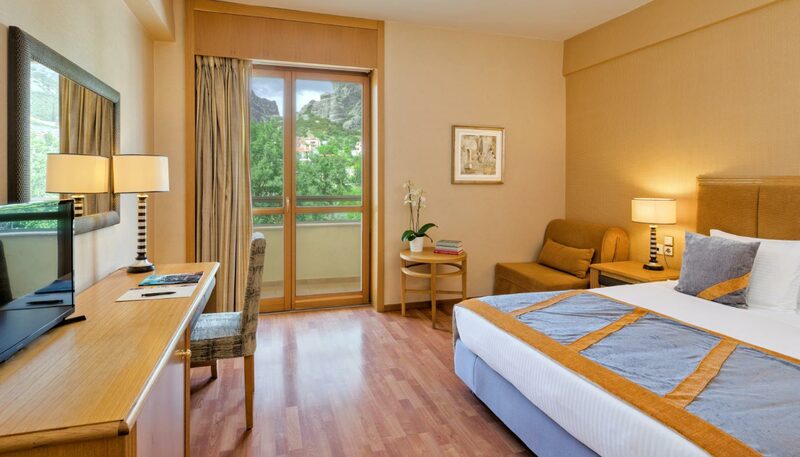 Superior rooms offer beautiful views to the mountains and to the religious rocks of Meteora. 20 sq. m. / 215 sq. ft. The Executive rooms of Divani Meteora offer a nicely appointed bedroom with an extra comfortable sitting room. The tasteful decor of these rooms with the beige and green shades and the beautiful wooden floors exude a blend of tranquility and modernity. 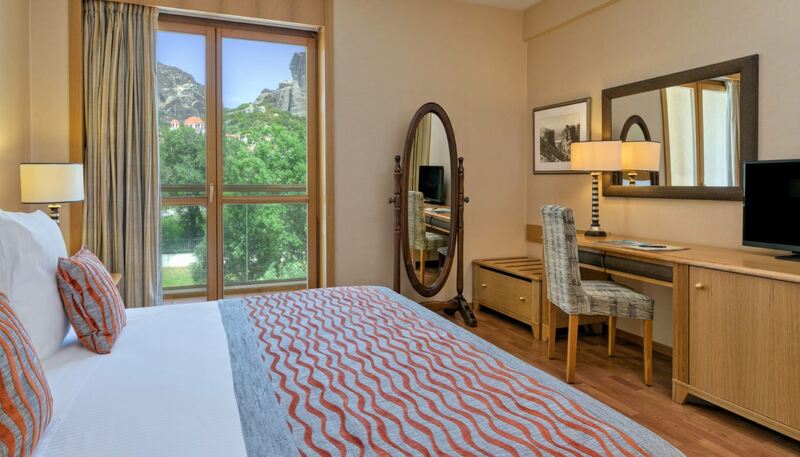 Executive rooms offer beautiful views to the mountains and to the religious rocks of Meteora. 22 sq. m. / 237 sq. ft. The Superior Suites of Divani Meteora offer the ideal space to relax and unwind. With a spacious living area and a luxurious bathroom our guests will find everything that they need at the tips of their fingertips. The beautiful views to the religious rocks of Meteora are definitely something to remember! 30 sq. m. / 323 sq. ft.
Serene, spiritual, magical, mystical, extraordinary, breathtaking, immense, inspiring, impressive. These are only some of the words people very often use to describe the Meteora phenomenon. A trip to Meteora offers the unique experience of nature’s grandeur in conjunction with history, architecture and man’s everlasting desire to connect with the Divine. Located just 4 hours from Athens, Meteora is a mystical and very inspiring destination. Divani Meteora is the best place to start exploring this amazing destination. To complete their luxurious stay guests can visit our spa with the indoor pool, sauna, steam bath and Jacuzzi, and of course enjoy our fully equipped fitness center. 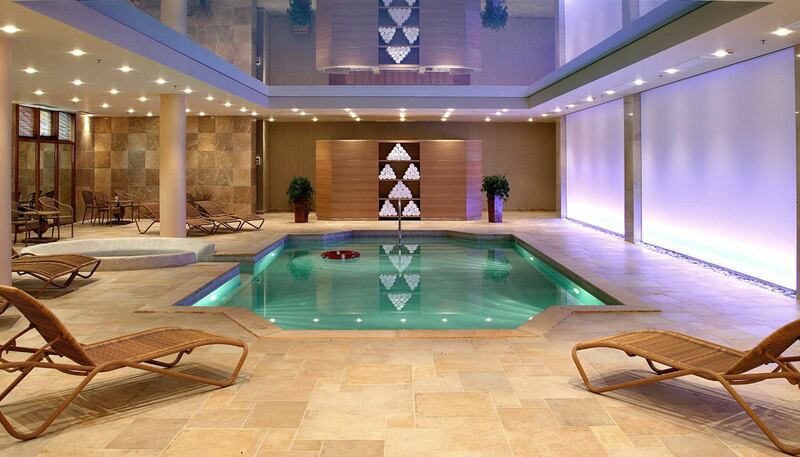 When the weather gets warmer guests can enjoy our outdoor pool. 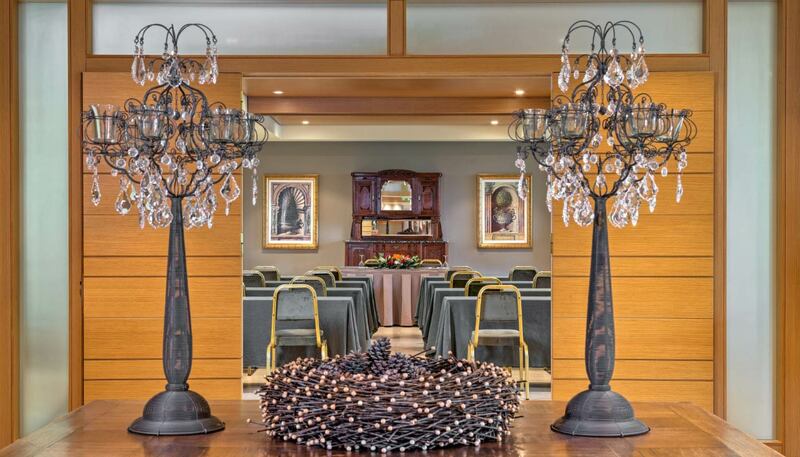 Divani Meteora Hotel can host business events in its 2,000 m2 Conference Center. Our experienced staff will take care of any specific needs and work to make our guests event, meeting or conference a memorable success. A trip to Meteora offers the unique experience of nature’s grandeur in conjunction with history, architecture and man’s everlasting desire to connect with the Divine.